The Blackberry Bliss print has a little shimmer, but you can't see it in the photo. I chose my colors of purple, green and black, then set out to find some designer series paper to fit one of those colors. My choice was from the Frosted Floral Specialty Designer Series Paper in the 2018 Holiday Catalog. 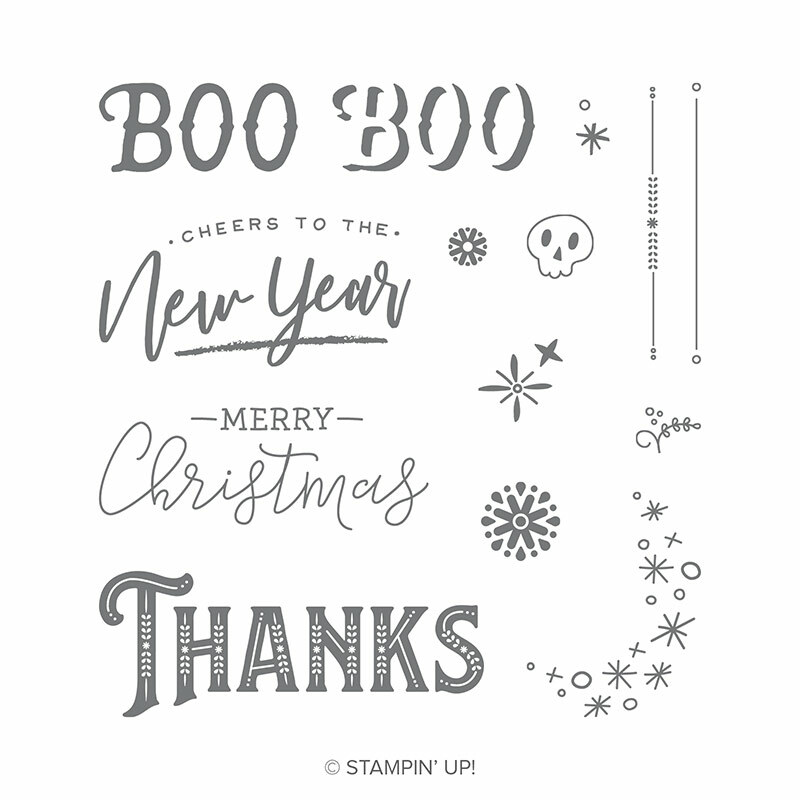 I stamped the "boo" sentiment (it's two layers) using Blackberry Bliss (matches the designer paper) and Highland Heather for an accent. Next, Blackberry Bliss card stock was die cut using the Stitched Labels Framelits. The middle layer is the Granny Apple Green Stitched Oval Shape and the bottom layer is a Basic Black Stitched Label Framelit. The last part was the fun embellishments! 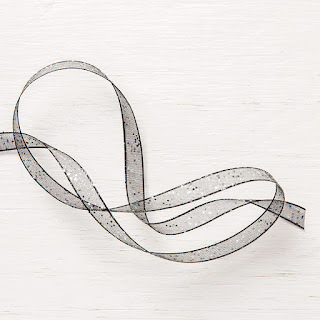 I couldn't wait to use this Black Glittered Organdy Ribbon! It's sparkly and easy to tie. 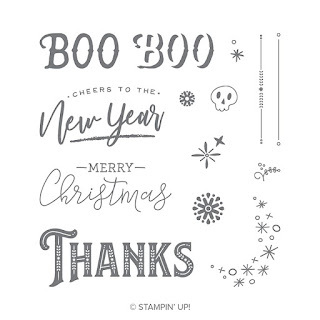 I added some Silver Sequins to match the sparkle in the ribbon and then Mr. Skull was stamped in black onto Pumpkin Pie card stock and fussy cut using my Paper Snips. Now, what to put in the box?? The back of the lid would have shown my Stampin' Dimensionals, which I used to pop up my tag on the top. I didn't want that to show, so I cut another Stitched Labels Framelit in Granny Apple Green and stuck it to the inside of the lid. I added another little stamped tag (Stitched Labels Framelit) that I stamped with a sentiment from Creatively Yours. Thanks for coming by today! Have a great day, and please take a moment to leave me a comment, won't you? 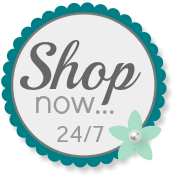 Use my Online Store any time you want quality Stampin' Up! products for your projects.